In my mind there is one mint in the world that has more artistic excellence, minting quality and a general je ne sais quoi than any other. It is the French Mint – or to give it its proper title La Monnaie de Paris. Founded by Charles the Bald in 864, this year marks La Monnaie de Paris 1150th year of minting coins. Over the years they have created some of the most exceptional coins and medals that I have ever seen. And they have worked with many of the very finest names in designer excellence. Names like Cartier and Baccarat. Their pieces are exquisite. 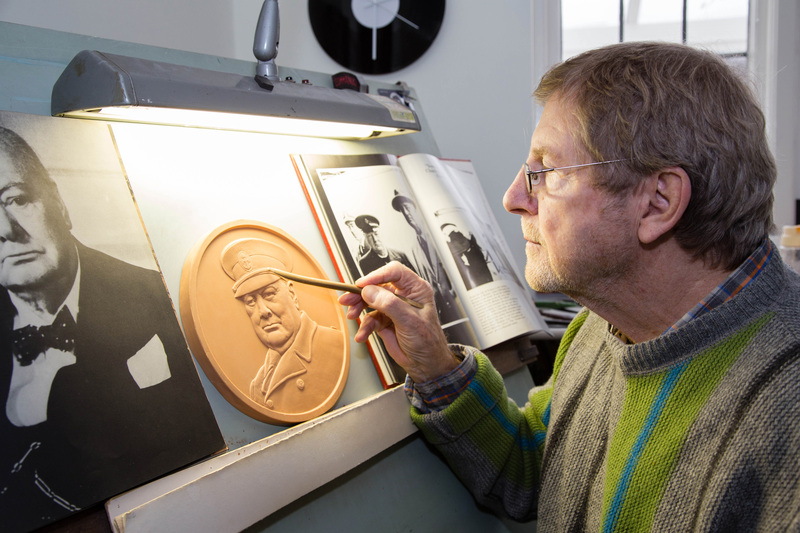 They are more than coins and medals – they are true pieces of art. But, as you can imagine, they are also amongst the hardest pieces to get hold of. 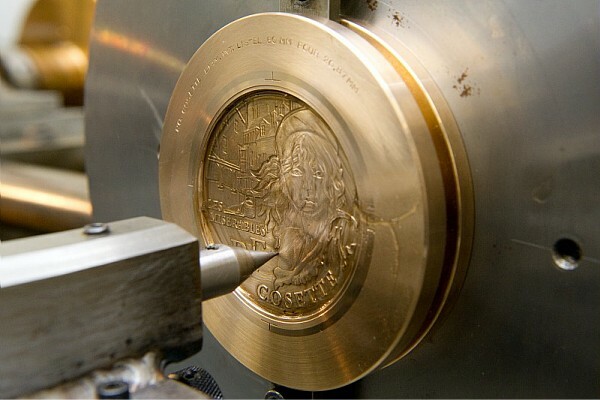 With their age-old expertise, Monnaie de Paris is responsible for the striking of circulating coins, collector coins, medals, official decorations, casts and works of art. But they only entrust the conception of their products to the greatest artists. Of course, as a work of art you should only consider owning a piece if you love it. The Westminster Collection has managed to secure a 50 piece initial reservation for La Monnaie de Paris’ tribute to the soldiers of the First World War. 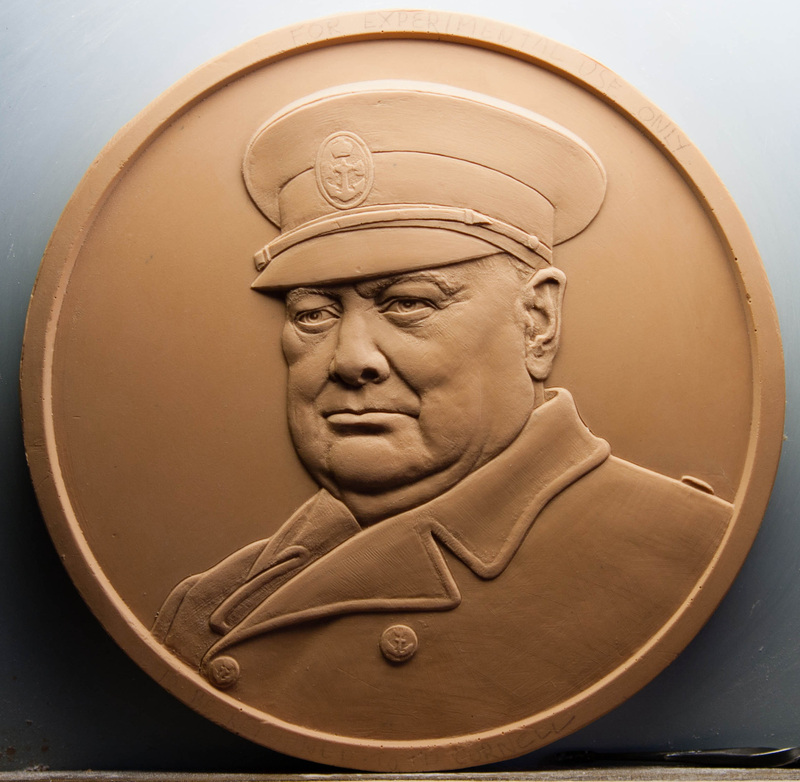 What makes this commemorative medal such an artistic masterpiece is the quality with which it has been struck from 13oz of solid bronze to its unparalleled antique finish. The overall depth of engraving and striking creates a truly 3-dimensional piece, unlike any normal proof coin you will have seen. 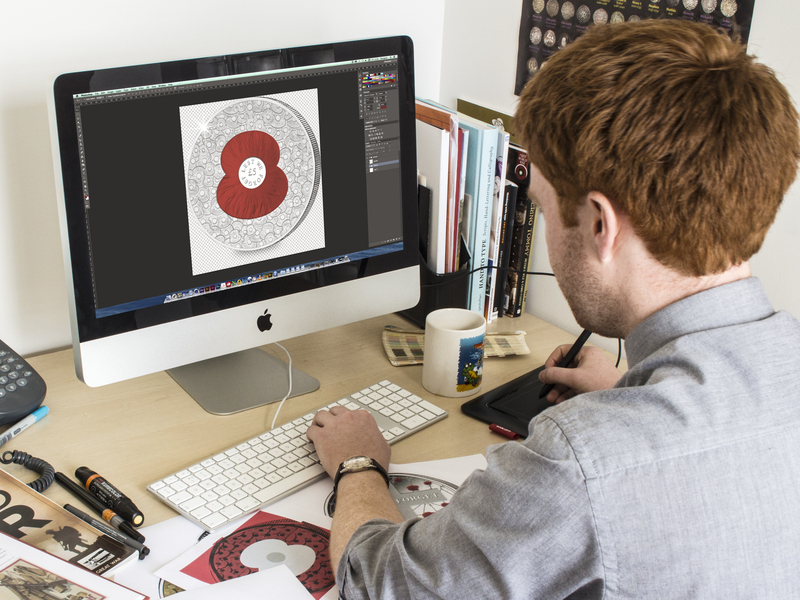 On Friday 10th October the new ‘100 Poppies’ coin was released, and the distinctive design has been turning heads. Commemorative coins have been issued in support of the Royal British Legion since 2008, some of them even struck in the famous poppy shape. But this year’s coin is a little different. As 2014 marks the centenary of the outbreak of the First World War, digital artist Chris Lloyd wanted to subtly allude to the poignancy of the occasion. He came up with countless designs, but nothing quite captured the moment in the way he wanted. The only text on the obverse of the coin – ‘Lest we forget’ – taken from Laurence Binyon’s For the Fallen – serves as a starkly poignant reminder. The new coins are being made available in a range of metals, to suit any collection. From a Proof condition £5 coin, right up an impressive 22 Carat Gold edition, all of the limited edition coins are available now. 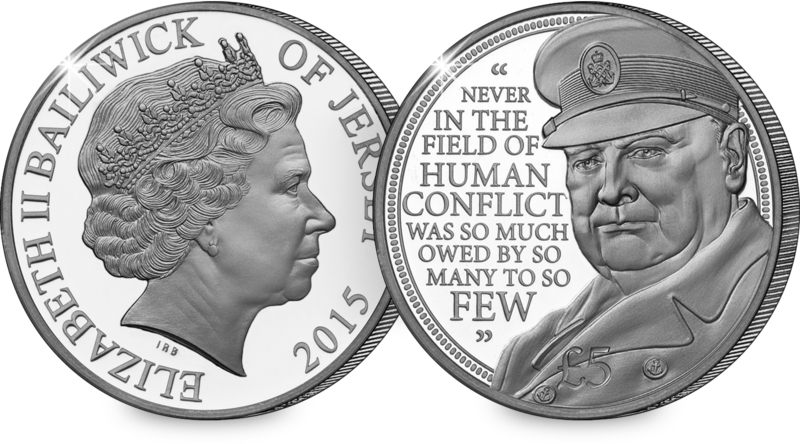 A donation is made from the sale of each coin to the Royal British Legion. So those who secure their coins will know they own an important piece of history, and they’re helping the Legion provide financial, social and emotional support to all who have served and are currently serving in the British Armed Forces and their families. 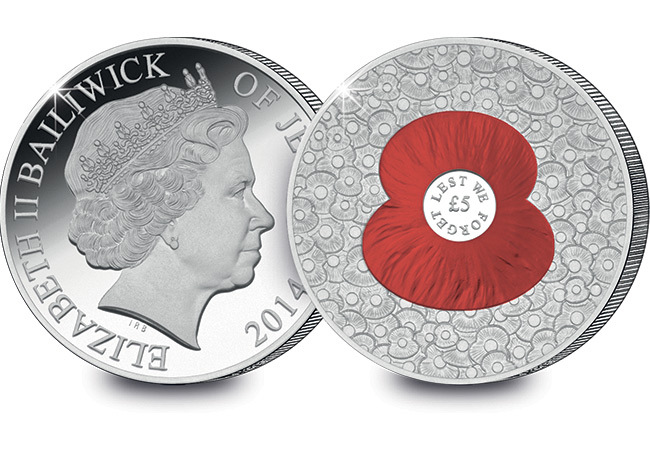 The 2014 ‘100 Poppies’ £5 Proof Coin is available to order now. Proud supporters of The Royal British Legion. 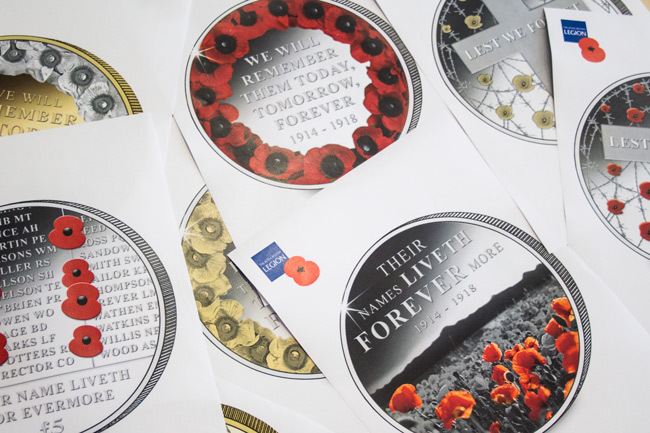 NOW SOLD OUT – Click here for the full range of British Legion commemoratives available.